Purely from a photography geek point of view, how hot is this promo shot? MAC for Chen Man promo shot. Seriously, how sick is this photo? Mad photography skillz. Chen Man is a visionary photographer whose images have set the Chinese couture world on fire. I honestly hadn’t heard of her until this collection popped on my radar. MakeUpForLife.net has a great promo shot of the offerings in this collection and The Musehas a concise price list. 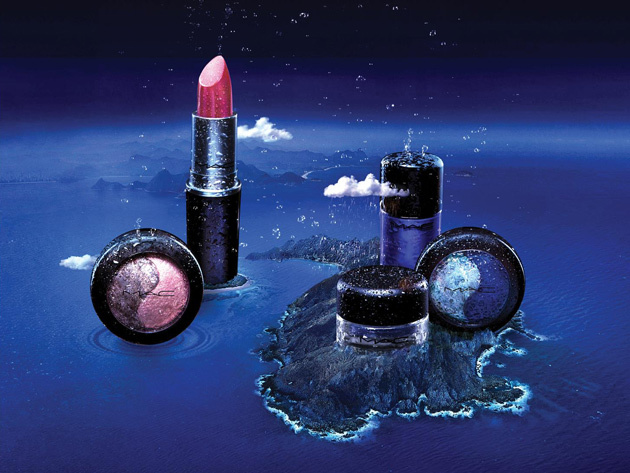 According to MAC this collection is scheduled for GLOBAL release in March at all MAC outlets. However, the word on the street and in the Google results hint this collection will be launched sooner. Check out what Macy’s.com has up so far for this. I’m personally not interested in anything from this collection as I’ve already blown my beauty $$$ for the Shop MAC / Cook MAC collection and a few items from Tom Ford. However, if I did want to pick up anything from this collection, I would get the Force of Love lipglass. Lipglass is a great product you can wear alone or over lipstick and/or lip pencil so it is a very good value. Whether you get anything or not, do take some time to check out Chen Man’s amazing photography at her officialsite at: www.ChenManer.com.